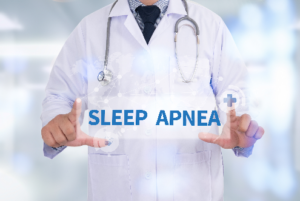 Sleep apnea is a common disorder that affects roughly 18 to 22 million adults in the United States; however, it is estimated that as much as 80% remain undiagnosed. The sleep condition is widely misunderstood. As a result, its symptoms can often be ignored until it has compromised your quality of life and general health. Although you may believe that there is only one form of the condition, this is not true. In fact, there are three– each of which can produce different symptoms and may require a specific approach to treat it. Obstructive sleep apnea is the most common type, which affects roughly 9% of women and 24% of men. It occurs when the airways in the throat collapse, which obstructs the air passages. This causes numerous pauses in breathing frequently throughout the night. Although central sleep apnea is not widely discussed, it is common, especially among those who have an underlying illness, like heart failure. Unlike obstructive sleep apnea, it does not occur from an obstruction. Instead, the brain does not send proper signals to the muscles that control your breathing. Mixed sleep apnea is as the name states. It develops due to an obstruction and a neurological problem. As a result, it can make it difficult to diagnoses. It is not certain what causes the condition to occur; however, it is known that is results from an obstruction episode occurring during one that is due to central sleep apnea. Often, the pauses in breathing last longer than those of obstructive or central sleep apnea. As a result, many often wake gasping for air because they have a more difficult time recovering their oxygen levels. This can then result in an unusually high level of carbon dioxide in the blood due to over breathing. Determining which form of the condition you have is vital to creating a proactive treatment plan. Your dentist will develop the customized solution you need to sleep soundly and breathe easier. Dr. C.J. Landry not only provides exceptional dental care but also offers specialty services, like the treatment of sleep apnea. For more than 30 years, he has helped improve his patients’ health and quality of life with individualized solutions to stop the pauses in breathing. If you have sleep apnea, contact our office today to schedule your consultation.